Day One: Tour departs Broken Hill at 8.00 am and travel via Yunta, Peterborough and stopping at Orroroo for lunch. We then continue north beyond the Goyders Line stopping at the small township of Hawker (hub of the Flinders) and visit local artist Jeff Morgan's Art Gallery. We then witness the afternoon light against the southern face of Wilpena Pound whilst traversing the Moralana Scenic Drive. At this time of day the local wildlife has become active so we should see kangaroos, wallaroos and emus along the way. Check in to Wilpena Pound Resort for the evening. Day Two: Start the day with a spectacular 30 min scenic flight over Wilpena Pound and return for a leisurely breakfast and optional walk to the Hill's Homestead and the Wangara Hill Lookout to view the inside of Wilpena Pound. 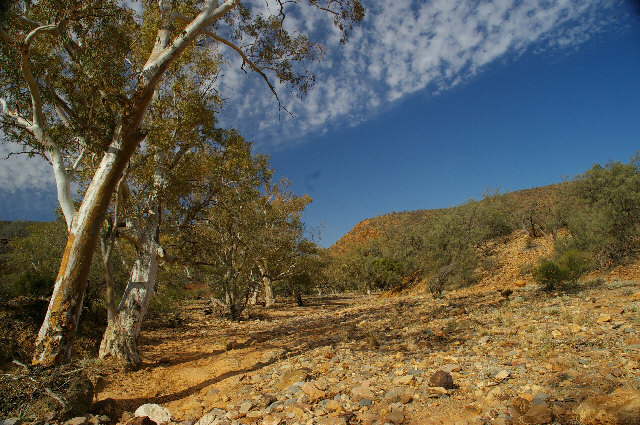 Then traveling through the heart of the Flinders Ranges with a picnic lunch in either the Bunyeroo and Brachina gorges while endeavouring to spot the yellow footed rock wallabies. We then pass through Blinman the highest town in South Australia - and former copper mining town. We then travel through the Parachilna gorge declining from 600m above sea level until we reach our destination of the unique Prairie Hotel with its choice of "feral" cusine and check in for the evening into the architecturally designed inground deluxe suites. At night you may wish to tour the Galaxy from one of Australia's largest privately owned astronomical observatories (at own cost). Day Five: We leave Arkaroola after breakfast heading for Broken Hill via Yunta, travelling accross Wertaloona, Frome Downs, Curnamona and Koonamore Stations (sheep and cattle properties). We have a roadhouse lunch at Yunta on the Barrier Highway. We then continue through old trans-continental railway townships of Mannahill, Olary and Cockburn arriving at Broken Hill at approximately 4.30pm.